Ethernet interface is configured as default to eth0 in setupVars.conf. If you have link agregation configured, change it to bond0. !! !Auto update function is not tested, consider that if you activate it!!! Once installed, configure your router to have DHCP clients use the NAS as their DNS server and then any device that connects to your network will have ads blocked without any further configuration. Alternatively, you can manually set each device to use the NAS as its DNS server. Hey, thanks for getting this on here. 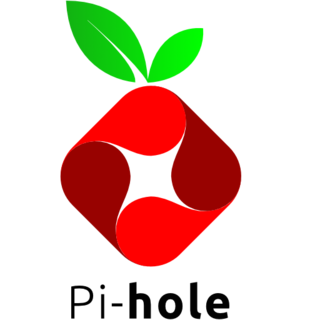 One thing I noticed is that I have to manually start Pi-Hole after my NAS boots up. Even though the app is activated it doesn't seem to be starting DNSmasq and PiHole web on bootup. I've noticed a couple more things. If I try to make changes in settings they don't take. Also I'm seeing this in the error log. [Fri Jun 02 14:34:29 2017] [warn] RSA server certificate CommonName (CN) `www.thecus.com' does NOT match server name!? Which setting file you want to edit ? For the error about su, what is your installed version of ModBase1 module ? Sorry I shouldn't have included the RSA stuff, I'm not worried about SSL and certificates. When I try to update settings in the "Settings" section they do not take when I hit save. I can however edit the setupvars.conf manually. Although that isn't preferred because I don't know all the setting names to add additional settings that I can't get the GUI to take. Also the 1st item. One thing I noticed is that I have to manually start Pi-Hole after my NAS boots up. Even though the app is activated it doesn't seem to be starting DNSmasq and PiHole web on bootup. Take your time to answer it's not a big deal. Just an FYI, I think the startup delay is just my impatience. It does eventually start up about 3-5 minutes after the NAS boots. I suppose you use netdata module. You have to update this one first to 1.6.0.1 as there was a small bug on this one. Thanks! I'll update it and then PiHole!